Kashmir Shaivism, with its powerful accent on the recognition by the human being of an already existing unity with Shiva, is the most unitary and monist of the six Shaivite Schools that we tried to present in our series of articles. Kashmir Shaivism appeared in the IX century in the northern India, which was at the time a conglomerate of small feudal kingdoms. In the painting of the time, the maharajahs were the patrons of the various religions. The Buddhism was still very powerful and the Tantric Shaktism was blossoming in the northeastern part of India. 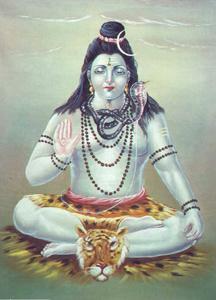 Shaivism experienced a rebirth beginning with the VIth century, when Shiva was the most worshipped Hindu god. The Kashmir Shaivism school originated and developed fully in the valley with the same name, among the beautiful surroundings of this country, as Kashmir is a tranquil and cold area, which gave birth to a calm, charming philosophical thinking. It is said that people have created their own personal God, in accordance with their familiar images and in this case, we may even say that atemporal spirituality has crystallized happily in this region. The wonderful spectacles of the natural phenomena in the valley seemed to be suffused with the feeling of the divine love that rules over all things in the universe. This is why the Kashmir philosophers unlike the philosophers from most of the world, have given up all dogmatic disciplines, and “orthodox” ethics and have pleaded for several effective and pleasant practices in a system they named Shivayoga (the yoga of the union with Shiva) – a certain type of rajayoga, helped and assisted by the sentiment of a deep, intense love for God. The life in the Kashmir valley taught the philosophers a simple, yet detailed path to reach the ultimate purpose of life. In the generous region of Kashmir, where a simple irrigation system ensured the necessities of life, the Shaivite philosophy was kept just as simple. The Shaivite philosophy did not prescribe any “tortures” for the body or for the brain through painful mortification, and it did not prescribe exterior practices of self-imposed control of the mind, senses and breath, as it is said in other schools of Hindu philosophy. On the other hand, the Kashmir Shaivism recommends a few precise methods of spontaneous meditation, free from any kind of repression and constraint of the mind or of the emotions. These methods indicate how one can gradually sublimate the low, raw emotions and instincts through the practice of several meditation and concentration techniques. The natural beauty of the Kashmirean valley has always inspired poetry and because of this, the influence of the majority of Kashmirean philosophers was also that of some remarkable poets. The Kashmir Shaivism is the result of deep and profound experiences and meditations practiced by the aspirats who did not have to worry about physical or mental issues. Therefore, this line of practice usually had to be preceded by other stages of the yoga system. 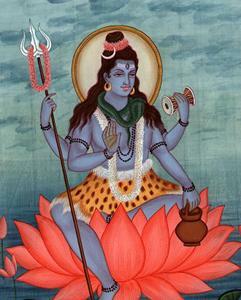 According to the tradition of the Kashmir Shaivism, Shiva established 64 systems, of philosophies, some of them monist, others dualist and few of them monist-dualist. As some of these systems were lost, Shiva asked the sage Durvasa to revigorate the knowledge. The sons of Durvasa, born through the force of the mind were thus designed to transmit the sysyems as follows: Tryambaka – the monist, Amardaka – the dualist and Shrikantha – the monist-dualist. Thus, at a certain point, it is said that Tryambaka laid the foundations of the Kashmir Shaivism philosophy and practice. 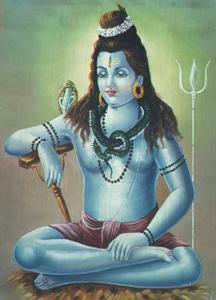 It is also said that Shiva himself felt the need to solve the conflictual interpretations of the sacred writings (agamas) and to cast away the dualist influence on the ancient monist doctrines. In the years 800, it is said that the great sage Vasugupta was living on the mountain Mahadeva, near Shrinagar. The tradition goes that one night Shiva appeared in a dream and revealed to him the secret place of a great scripture carved on stone. When he woke up, Vasgupta went to that place and found 77 lapidar verses carved on a rock, which he then named Shiva Sutra. Then Vasugupta revealed the verses to his disciples and gradually the philosophy spread. The school of the Kashmir Shaivism or Northern Shaivism Pratyabhijna Darshana, (the doctrine of recognition), Trikasasana (The Trika system of trinity) appeared on this scriptural foundation. Trika (threefold, triad) refers to the triple consideration of the divine: Shiva, (the masculine principle), Shakti (the feminine principle) and Anu (the individual soul), the possession of three sets of scriptures and of a number of other triads on which this system is based.